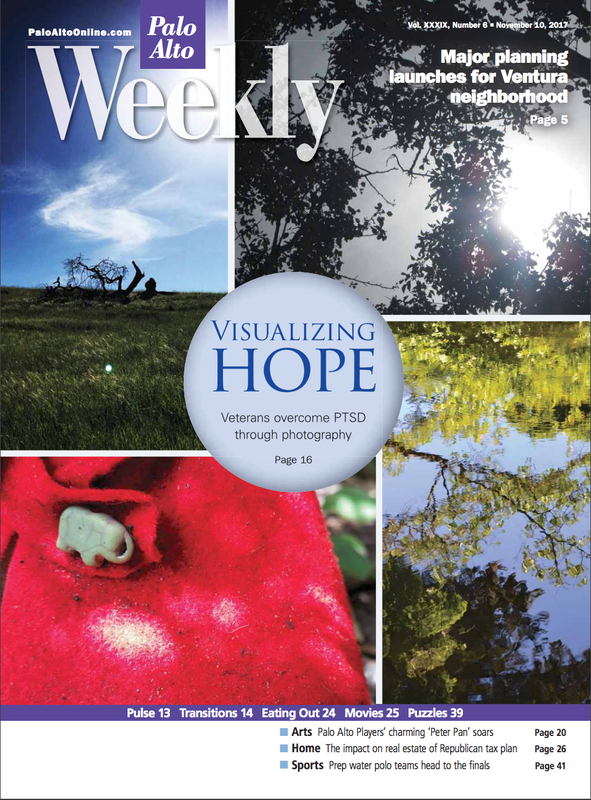 “Visions of Warriors” is on Social Work Today. 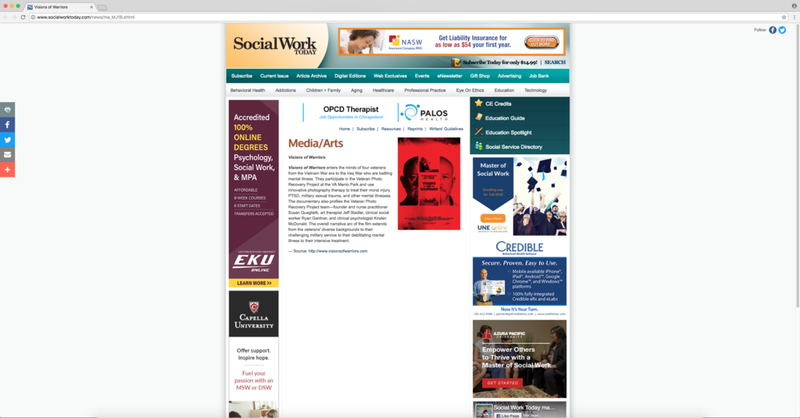 According to their site, “Social Work Today is established as an essential resource for social work professionals. Our in-depth content examines the difficult issues, challenges, and successes of social workers.” We deeply appreciate the support of the social work community in getting the word out about our film. Thank you to Kathleen Czermanski, Marianne Mallon, and Social Work Today for their generous assistance. 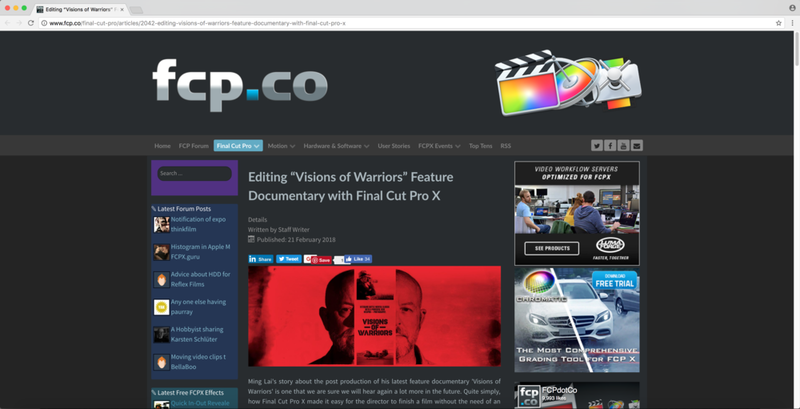 Recently, “Visions of Warriors” was covered as a follow-up story on Motion Arts Pro. According to their site, Motion Arts Pro “focuses on the art and craft of filmmaking for modern visual storytellers.” Motion Arts Pro is presented by American Illustration and American Photography (AI-AP), the leading hardcover, juried annuals. We’re deeply honored to be covered by this respected media company. David Schonauer, who is the editor of Motion Arts Pro, was the former editor-in-chief of American Photo, one of our favorite photography magazines. Thank you to David and Motion Arts Pro for their continued support. 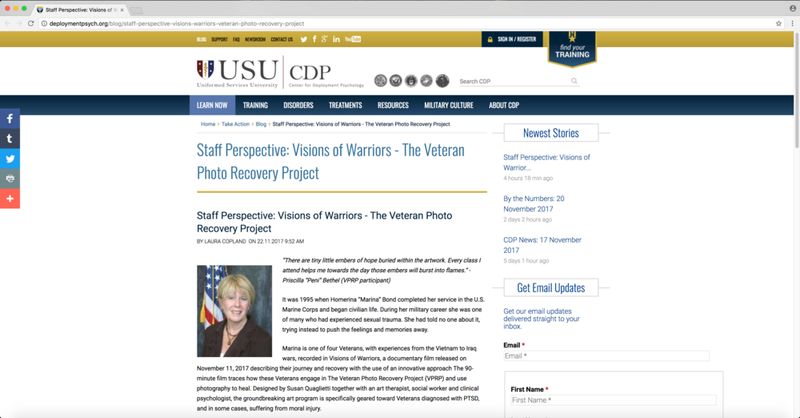 “Visions of Warriors” is covered on the Uniformed Services University / Center for Deployment Psychology (CDP) Blog by Laura Copland, who is a Cognitive Behavioral Trainer at the center. According to their website, the mission of the Center for Deployment Psychology is to “lead the development of a community of culturally mindful and clinically competent providers through he delivery of high-quality training and education, the convening of experts, and the dissemination of research-based treatment and the latest topics in military behavioral health.” We’re so excited to work such a great organization that focuses on training the next generation of military behavioral health providers. Thank you to Laura Copland and the CDP for this insightful blog post. 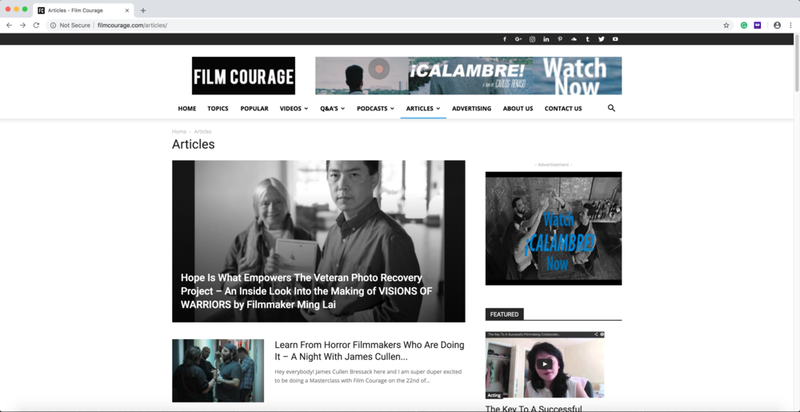 Thank you again to Paula Domenici and the CDP for including our film as part of their talks on moral injury earlier in the year.